The 2002 Hayman Fire is the largest wildfire in Colorado’s history. It burned over 138,000 acres, destroyed 133 homes, and forced the evacuation of over 5,000 people. Six people were killed. The cause of the wildfire was found to be arson. In Ricochet Collective's first commissioned piece, playwright Harrison David Rivers explores the true story of Terry Lynn Barton, a former U.S. Forest Service employee, who started the blaze when—acting in anger—she burned a letter from her estranged husband. “The excellent actors Meryl Jones Williams and Drae Campbell...offer fiercely emotional characterizations. Mikaela Izquierdo is pleasantly understated as Kai and has some fine moments when erupting in anger. With his soothing voice and graceful physicality, the masked Adam A. Keller makes a warm impression as Smokey The Bear. The highly personable John J. Concado’s low-key naturalism as John Barton is the most enjoyable highlight of the show." These actors are appearing courtesy of Actor’s Equity Association. Drae Campbell* received a BFA in Theater from the University of The Arts in Philadelphia. She’s been spotted on IFC.Com, Conan, Refinery29 and in numerous indie films. Some theater credits include: Non-Consensual Relationships With Ghosts (La Mama), My Old Man (Dixon Place), Oph3lia (HERE). She appeared as a ‘radical lesbian’ in Taylor Mac’s 24 Decade History Of Popular Music at St. Ann’s Warehouse. Drae hosts and curates a live monthly storytelling show called TELL at BGSQD. Drae is grateful and proud to have been chosen to be a part of Wildfires! Mikaela Izquierdo* (Kai) Broadway: Cyrano de Bergerac (Roundabout Theatre Company) Off- Broadway/Other: Perfect Arrangement (Primary Stages), Stay (Rattlestick), 10x25, The New York Idea (Atlantic Theater Company), Yours Unfaithfully (The Mint), Lone Star Spirits (Crowded Outlet), The Cloud (Slant/HERE Arts), L(y)re (ArsNova ANTfest), West Lethargy (59E59, Edinburgh Fringe, FringeNYC), Unrequited (Public Theater Shakespeare Lab) Training B.F.A NYU Tisch, Public Theater Shakespeare Lab Alum. Meryl Jones Williams* is an actor and filmmaker residing in Brooklyn. Theater: Only You Can Prevent Wildfires (Lynn Redgrave Theater), References to Salvador Dali Make Me Hot, Origin Story (Hangar Theater). TV: "Bull" (CBS), "Forever" (ABC). Film: Confetti, Sno Babies, Roxanne, Roxanne (Spike Lee Presents - Sundance 2017), Rob Reiner's And So It Goes alongside Michael Douglas and Diane Keaton, Thanksgiving (PBS), Girl Night Stand, and Biophilia which she co-produced with creative partner Marina Michelson (writer/director). The warmest thank you to Harrison, Sherri, and Brandon for the gift it is to be in this play. Thank you to each and every member of the cast and creative team! Thank you Michal Zecher for being the best manager a girl could have. And thank you to my family for your constant love and support. And James, for everything. Harrison David Rivers (Playwright) Off B’way And She Would Stand Like This (Movement Theatre Company). New York: Sweet (National Black Theatre), Look Upon Our Lowliness (Movement Theatre Company), When Last We Flew (GLAAD Media Award for Outstanding New York Theater: Off Off Broadway, New York International Fringe Festival). Regional: Where Storms Are Born (Edgerton Foundation New Play Award, Williamstown), This Bitter Earth (New Conservatory Theatre Center, Penumbra), A Crack in the Sky (History Theatre), Five Points (Theatre Latte Da), When Last We Flew (TheatreLaB, Diversionary Theatre). Awards: Emerging Artist of Color Fellowship (New York Theatre Workshop), Van Lier Fellowship (New Dramatists), Jerome Many Voices Fellowship, McKnight Fellowship for Playwrights, Core Writer (Playwrights’ Center), Founder’s Award (New York Stage & Film). M.F.A, Columbia School of the Arts; B.A., Kenyon College. 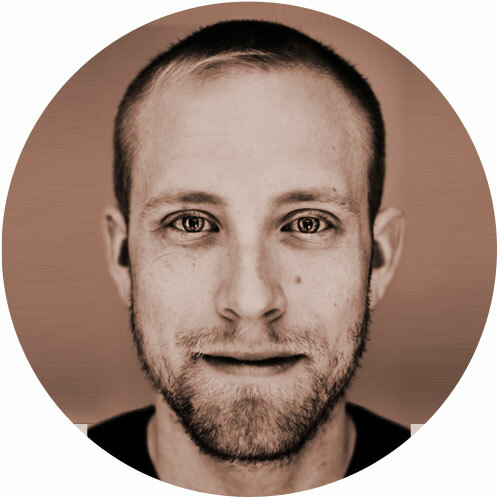 Brandon Pape (Producer, Executive Director – Ricochet Collective) is a producer, director, and designer living in New York City who is originally from Dubuque, Iowa. Producing credits include: Happily After Ever, Gordy Crashes, Jagged Little Pill: In Concert, Tragic Kingdom: In Concert (Ricochet Collective), Latrell Live Tonight! (Ars Nova, Dixon Place, Joe’s Pub), Look Back In Anger, Make Me Love You: an evolution of love, The Shape of Things (The Verge). Brandon also works regularly with The Drama League and is the General Manager for The Orchard Project, an artist residency program and accelerator of new work. Caitlin Bailey (Choreographer) is a dancer, choreographer and certified personal trainer who studied dance at Marymount Manhattan College before receiving her BA in Dance from Hunter College where she studied under Alberto del Saz and Jana Fienman. Bailey has recently performed at Bryant Park, The Tank, The Sheen Center, Dixon Place, and Arte Studio Ginestrelle in Italy with Amirov Dance Theatre; the Vision of Sound tour with Matthew Frazier-Smith; and Green Space with Danielle Nicolosi. As a choreographer and performing artist for Eden Productions and Love Creek Productions, Bailey’s work has been showcased at Culture Project’s Women Center Stage Festival, in IHI Therapy Center’s LOVE, YOURSELF Gala, The New School’s BFA production of Polaroid Stories, and the Producers Club. Currently Bailey works as a Physical Education Instructor and Varsity Track Coach at Trinity School while dancing for The Moving Architects and Amirov Dance Theatre. Clifton Chadick (Scenic Designer) is an interdisciplinary artist who has designed scenery, costumes, props, and special effects for theater, film, educational institutions and event companies in NYC and beyond. Selected design credits: Popesical The Musical (FringeNYC); The 20th Century Way (Rattlestick); In Fields Where They Lay (New Ohio); Mr. Landing Takes A Fall (The Flea); Jesus Hopped the A Train (Atlantic Stage 2); Polaroid Stories, Othello (New School); BEDBUGS! The Musical (Chernuchin); Grace McLean Live In Concert (Ars Nova); Spidermusical (Mint Theatre). Serena Wong (Lighting Designer) is a Brooklyn-based freelance lighting designer for theater, opera, and dance. Her designs have been seen at New York Live Arts, Danspace, The Joyce, REDCAT, and Jacob’s Pillow. She is the lighting supervisor for Dorrance Dance and enjoys beekeeping and breadbaking. Joey Moro (Projection Designer) designs lighting, projection, and scenery. Recent projection work: Death of the War Poets (Sheen Center), Orange Julius (Rattlestick Playwrights Theatre), Long Gone Daddy (Mile Square Theater), Orlando (Set and Projection). Recent Lighting: Eurydice Project (Dublin), Detroit (Theatre Squared), Dracula (Mile Square Theater), Ice Princess (JACK), Awful Event! (Ars Nova, lighting and set). Joey is a founding member of SpaceWing Design, a collective that aims to set the new standard for design excellence and unbridled creativity in the performing arts. MFA, Yale School of Drama. Shalyn Clark (Assistant Stage Manager) Broadway: Holiday Inn (Roundabout, PA). Hawaii/Regional: Sweeney Todd (Hawaii Opera Theatre, ASM), Madam Butterfly (Hawaii Opera Theatre, ASM), Heaven Forbid! (Hawaii Theatre), Les Miserables (Paliku Theatre, ASM). Recent Credits: Hair (Columbia Stages, PSM), Undrowned (Columbia Stages, ASM), Optics of Dying Light (Columbia Stages, ASM). MFA Columbia University. 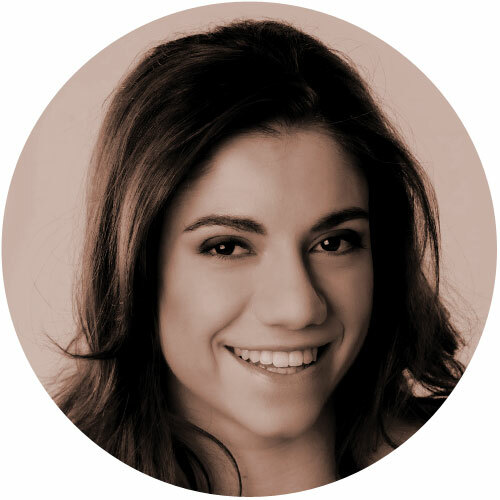 Valerie Insardi (Assistant Lighting Designer) is a New York based lighting designer. Select lighting design credits include Little Nemo in Slumberland, Great Falls, Blood Wedding and The Maids at Fordham University; The Refugee Plays at The Kraine Theater and OYE Avant Garde Night at JACK. Upcoming projects include: Trojan Women at The Balcony Theater. Stephen Christensen (Dramaturg) Recent credits: Sunset Park (Upcoming, Theaterlab), Everyday Afroplay (JACK, The Bushwick Starr) Remains (Theaterlab), Scrapland (Wintercheck Factory, Columbia Stages) Happily After Ever (59E59, Edinburgh Fringe Festival, Columbia Stages), Rum for Sale (Columbia Stages), WASPS (2014 Eugene O’Neill National Playwrights Conference Semifinalist, Columbia University). MFA Dramaturgy, Columbia University. Eugene O’Neill National Critics Institute Criticism Fellow. BA History and Theater Arts and Drama, University of Wisconsin at Madison. Walter Dean Pigford (Technical Director) is very excited to be joining the team for Only You Can Prevent Wildfires! This is his first show in New York after recently moving from Atlanta, Georgia where he worked in film and stage. He is arriving fresh from a run of Million Dollar Quartet and Rock of Ages at the newly opened Surflight Theatre. Regional credits include: Anything Goes, Cabaret, First Date: The Musical, One Man Two Guvnors, and many more. Special thanks to the production team, his mentors, and his family for their support. Ella Steinlauf (Assistant Director) is a New York based theatre artist and director who is originally from Washington D.C. Some recent credits include: Monstrosity, Big Love, A Midsummer Night’s Dream (The New School for Drama, AD), Orestes (The New School for Drama, ASM), Titus Andronicus (The New School for Drama, Dir. ), Agamemnon (Regents University, London), Cymbeline, Romeo and Juliet (Shakespeare Theatre Company).